Updated 02/07/18: Apple has released Beta 2 to the public. The big addition in this release is the Battery health feature on some iPhone models. Hot on the heels of iOS 11.2.5, which brought HomePod support, Siri news, and a fix for the Messages text bomb, Apple has started to release betas of iOS 11.3. And it’s going to have some pretty cool features on board, including the one we’ve all been waiting for: a toggle for CPU throttling on phones old batteries. Here’s everything you need to know about what’s in iOS 11.3, when it’s coming, and how to install the beta. 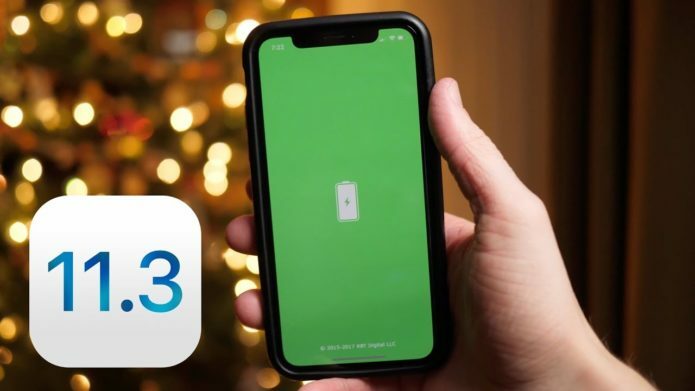 As promised, Apple will bring some much-needed power management to the battery settings in iOS 11.3. Apple says users will now be able to see their overall battery health, and will recommend if it needs to be serviced. You will also be told if your battery is triggering a chip slowdown, and can choose to turn that feature off. The switch will only be available for iPhone 6, iPhone 6 Plus, iPhone SE, iPhone 6s, iPhone 6s Plus, iPhone 7 and iPhone 7 Plus. The feature first showed up in Beta 2. 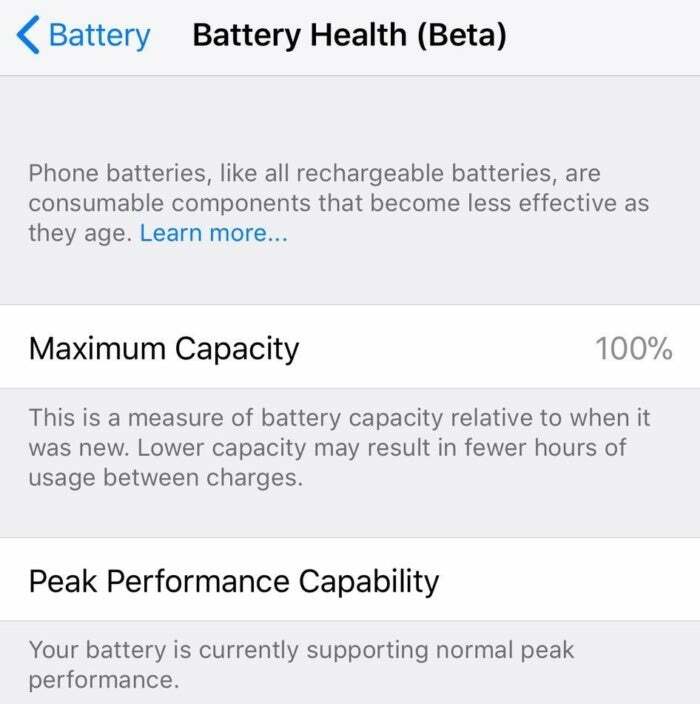 Head to Settings > Battery > Battery Health (Beta) and you will see the peak capacity (relative to a brand-new battery) and whether or not your phone is capable of sustaining peak performance. If your older iPhone is subject to slowing down because the battery can no longer deliver the necessary peak voltage for full performance, this is where you would see it. Presumably, this is also where you would disable such throttling. Battery Health features were added in iOS 11.3 Beta 2. When you first open the Messages app on iOS 11.3, you’ll see this screen. One of iOS 11’s most exciting features, promised way back in June 2017, may finally land in iOS 11.3. 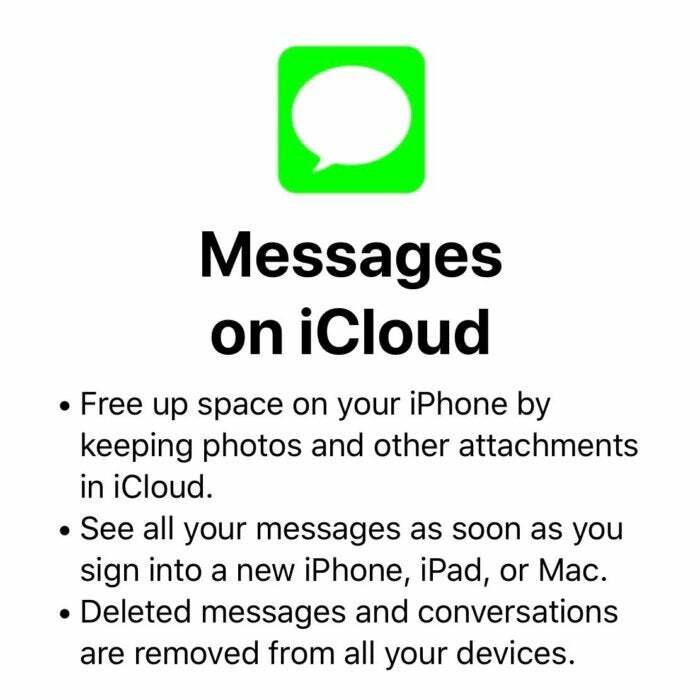 The first developer beta includes the ability to opt in to Messages on iCloud. This stores all your Messages on your iCloud account, freeing up space on your device and keeping everything in sync between all your iOS and macOS devices. Sign into a new device and see your whole Messages history right away. Delete a message on one device and it’s gone everywhere. Finally! Apple is also upping its AR game in iOS 11.3 with ARKit 1.5, bringing, “even more immersive AR experiences that better integrate with the world and giving them the tools to power a new generation of AR apps.” Apple says that the new ARKit will be able to recognize and place virtual objects on vertical surfaces such as walls and doors, as well as map non-square surfaces such as circular tables. iPhone X users will get four new Animoji in iOS 11.3.
iPhone X users will also get four new Animoji to play with: a lion, bear, dragon, and skull. If you have an iPhone or iPad with iOS 11.3 beta and an Apple TV with tvOS 11.3 beta, you can use the multi-room audio feature of AirPlay 2 to play back audio to multiple Apple TV devices in multiple locations. You can also control different audio playback on different devices at once from your iOS device. This is a key feature of AirPlay 2, but it’s only really available to those with multiple Apple TV devices right now. In the future, the multi-room audio feature will come to third-party speakers and Apple’s own HomePod (probably together with the final public release of iOS 11.3, or possibly a future beta release). Users can expect better password autofill (including in apps that use Web View), a better Reader mode, and improved protection against cross-site web tracking. 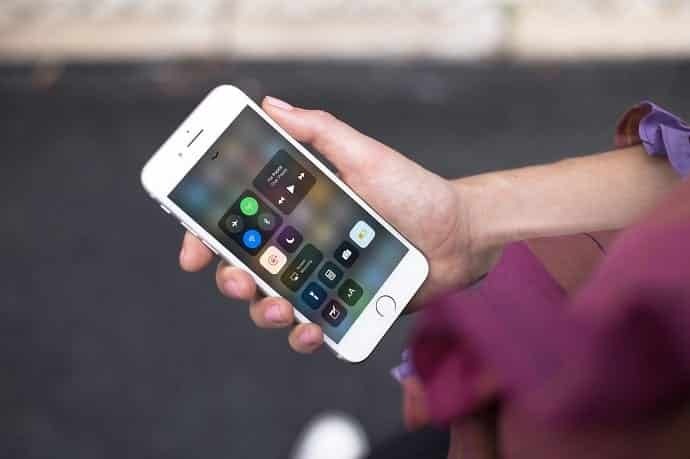 Apple will add a new feature to Messages called Business Chat that will let users communicate directly with businesses, including Discover, Hilton, Lowe’s, and Wells Fargo. Apple says customers will be able to schedule service appointments or make purchases without sharing contact information. 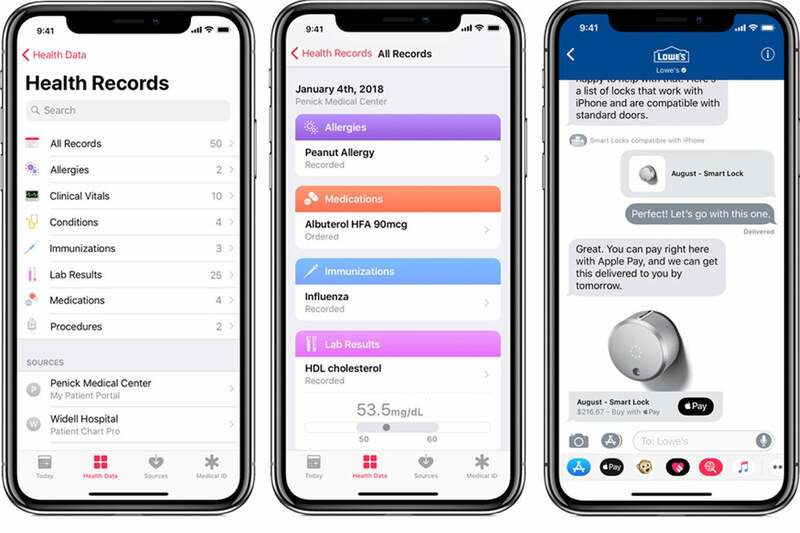 iOS 11.3 will also feature a new Health Records app that aims to streamline patients’ medical data across health-care providers. According to Apple, the passcode-protected app will collect health data from various institutions and organize the it into a single view, including notifications for lab results, medications, conditions. A new Health Records app and Business Chat in Messages are among the new additions to iOS 11.3. Among the other additions in iOS 11.3 will be music videos inside Apple Music and news video clips inside Apple News. We don’t yet know how this will impact navigation in Apple Music, as the feature has not been implemented there as of yet. Apple is highlighting HomeKit software authentication (a feature it first talked about last year), which removes a big barrier for smart home gadget makers. They used to have to include a special secure authentication chip in their products to support HomeKit, but no longer. Apple will also support Advanced Mobile Location (AML). This is a feature used primarily across Europe that will automatically turn on location services and text your location to emergency responders when you call emergency services. It has been supported on Android since 2016 and already has some high-profile success stories, so it’s good to see Apple jumping on board. When will iOS 11.3 be released? Apple rarely gives exact release dates for iOS point releases, but has given a general time frame of “this spring.” So far, only the first two betas have been released. Given the many new features in this release, we expect at least four or five beta releases, possibly many more. We doubt iOS 11.3 will release before March.